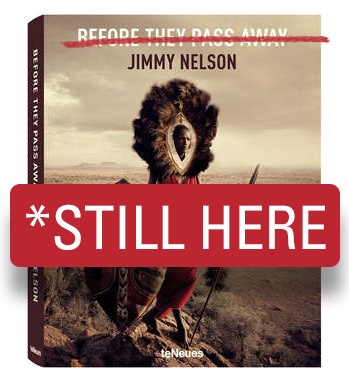 Today Survival International published a roundup of indigenous criticism of photographer Jimmy Nelson, and his book, Before They Pass Away. I get asked how I feel about Jimmy Nelson’s book all the time, and this is a deep conversation that often makes my day feel darker. 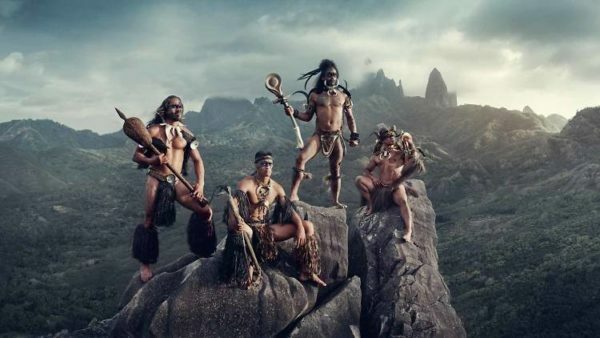 Let me be clear– while I believe that Jimmy Nelson has good intentions, his work is classic colonization. As indigenous peoples we are tired of being seen as having existed only in the past. We are still here, and suffering great traumas at the hands of settlers and colonial governments at this current moment. Jimmy’s work casts indigenous peoples as A) only beautiful in the past and B) nearly extinct. We are clearly nowhere near extinct (there are over 600,000 Maori living in New Zealand, and 150,000 Iñuit across the Arctic), and in the modernization of our traditional clothing and outward appearances there are the obvious signs of globalization’s effects on our communities. Jimmy used his time in his Native communities imposing, rather than learning. He lacks a deeper understanding of indigenous culture and our protocols for permission. As an indigenous photographer, I too am subject to these protocols. I remain a guest when working within any indigenous community other than my own. Years and months are spent being a part of the community, helping families with the straightforward tasks of life. All this time helps me to understand the cultural perspective and helps me to hear everyone’s concerns about their world and their representation. The indigenous way to grant permission is completely different to the Western notion. Many Native communities believe that the images a photographer or filmmaker capture are collaborations that belong to both the community and the storyteller. Once permission is granted, it can be rescinded, and I think it’s clear that Native communities, as evidenced by the Survival International post, are absolutely rescinding their permission about these photographs once it became clear what their intent was– to aggrandize the photographer with beautiful pictures of a reality that does not exist, and did not ever exist. The fact that Jimmy does not understand this betrays the fact that he is not only non-native, but not an ally, either. He hasn’t learned one of the most important lessons our cultures have to teach– how to slow down and how to listen. This work is dangerous. This is the work that undermines contemporary Native claims to land and subsistence and rights. This work is the reason that white people get angry when indigenous peoples subsistence hunt with rifles instead of bows, or use motorboats instead of kayaks. It freezes us in an imaginary past, and asks the indigenous to deal with modern life and the market economy using the tools of the yesteryear. Nevermind that we no longer have the landbase to acquire those tools from, or that our languages and cultures were beaten out of us in boarding schools as children. There is a way to do this right. 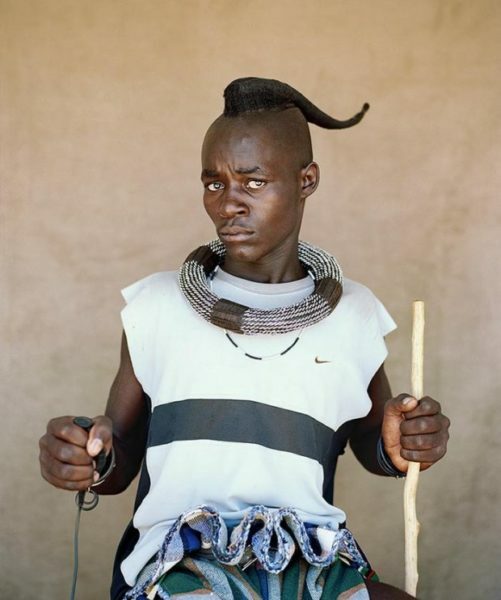 One terrific example is photographer Kyle Weeks, who did a series on Himba youth in Namibia. He asked them to do self-portraits of themselves. This quickly inverts the power dynamic of a Western photographer who tells his subjects what to dress and how to pose. Ovahimba Youth is not only a beautiful series of images; it shows photography can be an empowering art form giving voice to individuality and raising significant issues in the ethics of representing difference. As photographers, we are also artists. We are bound to push the edges, and there are many scenarios where the lines are not so clearly drawn. Nevertheless, it’s important to note that crossing the line when it comes to marginalized peoples you make more than an artistic statement– you become an oppressor. A good example of toeing the line carefully is photographer Sandro Miller. Even with the trappings of commercial portraiture, Sandro did it right with his series on Papua New Guinean highlanders. The difference? It’s subtle but the context is important. Sandro showed up at a festival put on by the community and photographed people as they showed up and presented themselves. Some appeared with their ancient regalia, while others appeared in their street clothes. His photographs include many different viewpoints, and in doing so, give us a glimpse of the diversity and complexity of the indigenous experience while providing a powerful aesthetic. Meanwhile, if you are an editor or art director out there who are looking for a photographer with a non-colonial viewpoint, I recommend Natives Photograph. True words – thanks for sharing! In my opinion it is indeed very important to bring exaclty this topic more to the public. I mean, every culture is changing, evolving and developing during the years and it’s important to show and document that change as well as traditions and not bring just an outdated look back in time. This book strongly reminded me at the time between 1870 and 1940 in Europe as it was common to show human beings from all over the world in some kind of zoo (so called “Völkerschau”). But instead of letting it makes your day darker it should be brighten it, because your work and the work of Natives Photograph is so much more inspiring and with your work you are changing this outdated way of view! Keep on doing your great work! Thanks for the support Mattias. I generally feel positive about all the work I do but it also feels like a burden to constantly be educating people about why these things are important. I’ll flip it around.